I'm one of those that consider 'GOAT' a generational title. A few fans and notoriously the media prefer to define it as a static/once-and-for-all title, especially because it's more natural as a fan to extrapolate your experience in a particular skating era to all of them as it's incredibly difficult to imagine a reality apart from your own. Questions like "Now is he the greatest ever?" "Will there EVER be something better than this?" are born from this notion. Sometimes as media hype, sometimes as genuine debate. And there's also the emotional aspect of expecting that your favourite skater will forever be the definite golden standard. Of course, there's fans that have been watching skating for 50, 60, 70 years, hence they are probably able to have a broader view of skating than most but regardless we all have our favourites, that's human nature. These questions are part of sports in general, linked to the culture of comparing athletes and cherishing our heros. They also highlight the significance of particular performances/skating careers during a timeline, so they do have their purpose. But truthfully, in my opinion the answers of these questions don't matter that much. I think the biggest aspects to define GOATs are memorable performances and dominance. By dominance I don't mean only medals, hence why I don't agree with the thought that "To be considered the GOAT X skater needs to win 3 Olympics!" I believe that if for example a skater wins 1 or 2 Olympics and 1 World title in the future at an even more competitive era than today while leaving a similarly enourmous lasting impact on the sport as Yuzuru did he will be considered the GOAT during his era and deservingly so. But this could be any combination of medals, the key is having an accomplished career, performances that will withstand the test of time and being the gold standard of that era. Skating will evolve. Who knows if skaters from now on, aided by the advancement in sports medicine and technology will be able to do one 4A, three 4Lz, and one 4F on a single free skate or even new types of jumps, together with great skating skills and performance ability... Really, who would've thought in 2000 that 18 years after 4 quads programs would be the ideal for gold? Or that a few skaters could actually do them with artistic quality? Skating obviously already evolved quite a lot, mostly due to the implementation of IJS. Regardless of the hard feelings for the system, the outlining of the different aspects in skating instead of giving an arbitrary "5.8" without any explanation really made a difference in how the new crop of skaters began to develop. The fact that there was an attempt to differentiate the components, the elements and how it could influence your score was huge. It's only natural that step sequences today are overall much complex due to the requirements than they were 20 years ago in Plushenko/Yagudin's era, that different jump entries/less telegraphing are more common today in order to elevate GOE etc. I don't know which type of skater Yuzuru would grow out to be if he didn't skate the majority of his career under IJS. Definitely as brilliant as ever, but under different standards. Maybe in the future with skating rules being so volatile we will have a completely different judging system. And the development of young skaters will change once again, for the pleasure of some and the dismay of others. Also, with skating being a very 'momentum-based' sport, that places great value on the 'short' and fickle 4 year Olympic cycle, and with most singles skaters retiring when they hit late 20's, there's no guarantee that the standard won't change as the sport evolves and crowns new champions. It's also important how you leave the sport. Leaving while at the top can help to keep the public imagination going. A skater leaving after a few seasons struggling for medals isn't as flashy or interesting for some. I don't care much for this since nothing can erase their past accomplishments and competing for the love of the sport and other personal goals is commendable, but there's no doubt that this phenomenon exists. Someone said here that you can hardly find anyone that would consider Patrick Chan the GOAT but there are fans that do, certainly. His disputed Worlds titles and overall score inflation certainly didn't help with that, but the narrative became even less popular once he made his comeback at the heat of the 'quad revolution' and wasn't the top pick for gold anymore. Yuzuru mentioned once how he saw how difficult it is when you take a season off to return to the public eye as a real contender, and that's part of the reason why he didn't take any time off and continued to improve his technnical content. Yuzuru strikes me as someone that will want to undoubtely leave while at the top. People like to joke that he will compete until his body gives in completely but I don't think so. For me it's much more likely that he will leave when he won't be able to contend for the top anymore due to his injuries. With his remarks after Worlds it seems that competing without any clear shot at gold seems aimless to him. To finish, I do consider GOAT a generational title, but it doesn't mean that we as fans can't have our own "forever GOAT's". I highly doubt that there will be a men's skater that will make a more lasting impression on me than he did. Even if the technnical requirements and performance standards reach new heights in the future, Yuzuru's impact on this era is timeless and that's what will stand once he decides to say goodbye to the sport once and for all. I don't want them to eliminate the hydroblade or ina bauer per se but I do want them to change things around a bit. Move them from the choreo sequence to another point in the program as a transitional element like R&J 1.0's Ina Bauer for example. Without the extra 30 seconds at the free skate, if you include both at the choreo sequence it ends up being just it, a hydroblade and an ina bauer. I wonder if we'll see next season this Ina bauer before a 3A that he did at ACI practice, probably upgraded into a 3A sequence: At 6:25 Because it's absolutely gorgeous! (it also kind of matched the background music on this practice ) I hope that he will not stop experimenting with entries and exits even with the change of layout. At least that post Worlds interview calmed me down a bit since he did say that this is one of his prides in his skating and if he stops caring for it he will lose his identity. But I do wonder if the choreographic quality of his free skates will suffer even if just a bit as he pretends to add 4Lz/4F/4A (?) ... And who knows what more, If his ankle let him. Maybe it won't, but the absence of those 30 seconds worry me a bit. I selfishly wouldn't care if he didn't add any of these but he wouldn't be Yuzuru if he didn't want a challenge. And he's absolutely right to think that according to judges' eyes the message is that he needs at least a 4Lz. At an ideal world this wouldn't be true but it is now and he has to deal with it if he wants to keep competing and undoubtely winning. I really don't know what to expect/suggest for his programs! But I do hope that it will be a relatively unknown piece and/or less commonly used in skating. No warhorses and enough with recycling. When he revealed SEIMEI it was rather early, at an ice show, and everyone was just "What the heck is SEIMEI??" And searching for the song on youtube but no one could find the right track because SEIMEI wasn't the name of the song but just the title of the program. It was a great mess. After years of R&J and especially POTO during the excruciating POTO season that 2014-2015 was, it really was a breath of fresh air. Similar for H&L but since there was SEIMEI previously, it was more like a relief that he chose again a different and beautiful piece, at least for me. 2019-2020 could be what 2016-2017 was: different music choices, new technnical content. I agree with this in some way. But about Nathan he strikes me as someone that does work pretty hard at everything. It's pretty much impossible to reach top level if you're just winging your practices. He has a strong work ethic, so it's not exactly a nonchalant vibe. It's just that his end goal isn't just skating. I think that if Nathan had won Pyeongchang he would have retired. I believe his family works with healthcare, his father is a medical researcher. Skating isn't the purpose of his life since he does want to go to med school in the future. Vincent said some time ago that he feels like he's the "family dissapointment" since his siblings are all overachievers in elite universities. Kind of an exaggeration to feel like that when you skate in elite level but maybe that's why he's so defensive and eager to prove that he deserves his scores even if he doesn't ___________________ On another note, Shoma really did save us all with this fabulous costume. Yuzuru is taking notes as we speak. Rooting for his 3A 4T in the free skate. Nice Yuzuru tribute by Grassl with the 4Loop and that spin position. jk The kid tries so hard, you can see that he really likes to perform. He even gave kisses to the audience. Lol His commitment is commendable but he needs someone to work on his overall quality of movement and jump technique. I'm guessing that he probably didn't have the best resources early on given that he's from a smaller federation. I'm afraid his "jerky" movements are something that will never go completely away though. Every skater has a carriage on the ice ever since juniors that sticks to them throughout their careers like a fingerprint. Maybe this is his, although it can improve. I've been laughing at this for 2min. The way they almost bumped into each other is sending me. Yes, I debated whether to include this photo or not. I think the Romeo one indeed is a better example. I agree that great posture in men sometimes comes off as stiff particularly if they're also not flexible. Men was usually my least favourite discipline probably because of this apparent stiffness. But I think Yuzuru's skating did benefit from his improved posture quite a lot. Here's some photos. I don't know if it will be of much help since it translates better in movement. Look at young Romeo and Etude, his shoulders are down and his torso is more paralel to he ice: Compared to Kolyada's and Javier's torso theirs are straighter and more perpendicular to the ice, shoulders are also firmly to the back: Yuzuru has a bad habit of slouching when he's tired, his posture usually fluctuates during the program. But this issue is much less present in his skating today. Yuzuru also has gorgeous posture on his landing positions so he's perfectly capable of those, here's an example: Hopefully it helped! Some skating enthusiasts do love to make it seem as if Yuzuru's torso is flat out paralel to the ice, don't they? 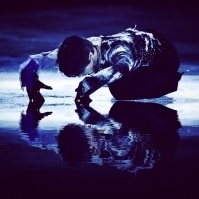 I guess he could kiss the ice like Haru Yo Koi for every program even without a hydroblade, he just doesn't out of spite! Yuzuru will probably never have the perfect posture. But some skating fans feel the need to almost turn this affirmative into a hyperbole. Yuzuru also improved quite a lot in this department since his early days, but there's a certain resistance to acknowledge that from these fans. Almost like a desperate cry "Don't you see it? I absolutely hate his weakness so don't you dare be a fan of his qualities!" I understand if posture is something that a person priorize when choosing the skaters that they would rewatch because this would be a personal preference. However demanding for others to use this as a sole feature to categorize artistry, or rather trying to negate the artistry that others see in a skater only because of it just feels so limiting. Yuzuru excels in so many facets of artistry. For me he's a very emotionally charged skater and proficient in his commitment to his programs, also inherently musical. Interestingly enough his performances are almost theatrical, it already starts from the moment he's introduced. Some love to call these qualities as "flare", sometimes as a backhanded compliment, as if it was a lesser artistry, almost 'accidental artistry'. As if something that comes naturally can't have the same value as the rehearsed qualities because it isn't studied artistry therefore it doesn't come from a deeper understanding. Which I find even funnier when it comes to Yuzuru because even though he has this performance quality that comes naturally to him, he does seem very commited to study the artistry of his programs by actively choosing his music, sometimes even cutting the song by himself and by the way he describes them at interviews they almost feel like personal journeys. I think this perception comes from such a pretentious place coupled with ignorance of Yuzuru's thought process. I believe the most well versed are the ones that can acknowledge the existence of different types of art and their merits. What would be the point of categorizing modern ballet, jazz, folk dance etc within the limits of traditional ballet? It does a disservice to all of them. For example, Patrick Chan was/is a skater with great posture and basic positions. Patrick was very commited to his vision of artistry, worked with a dance coach for a considerable time, loved to study the expressiveness of Ice Dancers... Despite all of this, his artistry was always fervently debated. Some would say that he's incredibly artistic, mostly those who priorize the features where he excels, others would just say that there's much to be desired in his interpretation and that he leaves them completely cold. Why? Was Patrick musical? I think yes. But I never felt that he inherently was. The thought process behind it was apparent to me during his performances as a rehearsed quality. Or maybe he just... lacked the "flare"? I always appreciated Patrick's skating though. I saw some time ago someone saying how maybe the rejection towards Yuzuru from the more traditionally inclined FS fans is because he is such an outlier compared to the past men's champions and I agree with this. If you try to categorize him as a showy performer, a lyrical skater or a dramatic "masculine" type you just can't. He doesn't fit perfectly in neither of those. He's rather unique. But of course I'm biased. I believe I'm in a safe place though. TL,DR I wish people would just admit that they prefer a particular style and let it go. I noticed that too! And this one is in the middle of Mato Grosso state which isn't a superpopulated one and I think it isn't even at the capital of this state which is even more interesting. The other dark dot in Brazil is exactly at a big metropolitan city so it was expected. There's a lot of dots in Brazil actually. I'm in one of the lighter ones near the litoral. Does anyone know if there's anything interesting at the korean commentary for Origin? Before SBS take this down of course. I hate to play devil's advocate here but it isn't fair at all to dismiss Nathan's skating completely. I'm sure that Yuzuru considers him a worthy contender. He reached near the top for a reason, it wasn't just completely due to atrocious judging, he has qualities despite that. His running edge on his landings improved a bit since the last time I saw him, they still aren't ideal but they don't end on a complete stop anymore. His FS aren't the most complete ones out there but his SPs are usually much better choreographically in my opinion. He isn't completely devoid of skating skills, has good posture, consistency. I think he actually improved a lot these past few seasons. Just compare his Michael Jackson program in US Nationals 2016 (and ignore the commentary, thanks lol) to his 2019 Worlds SP, and the improvement in evident is terms of commitment to the program and engagement. His Michael Jackson program was devoid of personality in my opinion, it felt like he was going through the motions to complete the choreography with no sense of purpose at all and a blank face. And he doesn't come across as the guy that will completely rest while seeing his scores, he seems driven to improve and it shows. And he's also pretty young, at 19 a male skater isn't at the top of their game artistically, Yuzuru wasn't either. Despite the success of PW, Yuzuru improved quite a bit in this aspect, in my opinion LGC was a much better performed program by the GPF 2016 even if the scores didn't reflect that. Although I think that Yuzuru did have at a younger age better musicality and commitment to his programs, not to mention charisma. My problem with Nathan has always been the lack of emotional conection that he has with his programs, even if maybe he has it deep down, it usually doesn't come across to me. Or maybe his skating just isn't my cup of tea after all, since his skating does ressonate to his fans. To each their own, I guess. That's such a blasphemy! I can't believe people are capable of such travesty! Jk. Origin may be my favourite Yuzuru costume of all time, certainly my favourite LP costume. It's just absolutely regal, so fitting for a season post his second Olympic gold. He looks like a phoenix, or an Emperor, or both. And i've always wanted him to wear a dark costume but thought that my wish was never going to be granted so I was over the moon when the costume was revealed. _____ Thanks for the Etude appreciation here! I am absolutely in love with Etude and will be forever bitter that it never receives the attention it deserves. It feels like the counterpart of Hope & Legacy. Etude is the sea before and during a storm Hope & Legacy is the calmness after the storm and the hope for a new beginning. They also represent two diffferent points in Yuzuru's career, one as the up and coming and the other as the goal point. I'm terrible at waxing lyrically but you get the point. I remember Yuzuru once referred to etude as symbolizing waves so I guess I'm not that far off. And I think that he really did a connection between the two, hence the similar costumes but with different color variations. There's an old video out there of him describing Etude but I can't find it now. I can't rank accurately my favourite programs, especially since they're so different. What i can say is that the only Yuzuru programs that I really dislike are Notre Dame and POTO. Notre Dame really had no clear picture, it just exists. David Wilson completely missed the point in that one and Yuzuru just couldn't connect and bring this program into life, especially since he was adding for the first time the 4S and it was his first season after his coaching change. It also didn't help that he had fabulous programs the previous season. POTO tried to have a clearer picture but I never bought it. It just didn't feel like a full program for me, especially after he watered down due to the injuries. But even if it was the original version I don't think it would go down as one of my favourite Yuzuru programs. i appreciate R&J 2.0 but wasn't a fan of the boobskirt so maybe my judgement is going to be clouded by it. But I think that R&J 2.0 IMO was much better than NDP and POTO and I can rewatch it with no problem. GPF 2013 is my favourite rendition of it because i love his fingers. H&L is an absolute masterpiece for me. This discussion of femininity/masculinity in regards to Yuzuru's skating reminded me of this episode about costumes from a FS podcast. I think they were spot on in this issue. They start talking about Yuzuru specifically at 37:00, but they actually mention him more times during the episode. I think all of it it worth listening. There's english transcription if you click on the subtitles button. Sorry it was already shared but the debate made me remember this.